Studebaker began business as a builder of covered wagons. By 1921 they were the number four automaker in the nation. By 1932 they were bankrupt. And for Studebaker, one of the most remarkable stories in American automotive history, that was only the beginning. 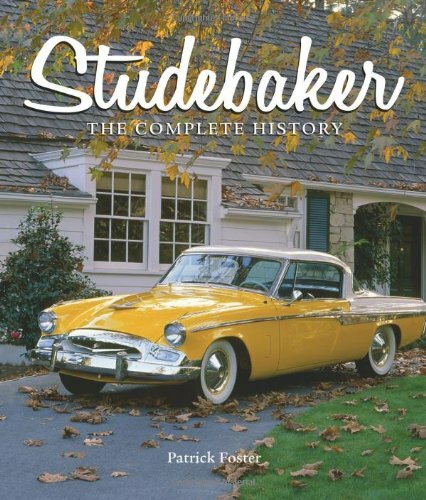 Studebaker: America's Most Successful Independent Automaker tells the full and fabulously colorful history of this icon of the American automotive scene. Rife with triumph and tragedy, brilliant moves and boneheaded decisions, Studebaker’s decades of building cars makes for a tempestuous saga featuring some of the more interesting characters in the twentieth-century business world. But, above all, the story features cars that, for countless Americans, truly defined driving: not just the Champion, which rocketed the company back to the top in 1939, or the 1950s Raymond Lowey-designed Starliner, deemed a “work of art” by the Museum of Modern Art, but also the Hawks and Larks that so many drivers loved. As the book traces Studebaker’s fortunes from success to crisis to merger and back, it also dwells with loving photographic attention on the vehicles, from the first electric car to the last Avanti.